Mat 3:7 But when he saw many of the Pharisees and Sadducees coming to his baptism, he said to them, “You brood of vipers! Who warned you to flee from the wrath to come? Jesus told the Jews that they had turned His Father’s house, the temple, into a den of robbers. Here, John the Baptist confronts and exposes the religious leaders in that temple system. He addresses them as a pack of snakes. Many local churches are robbers’ dens and a gang of snakes. Many of you have experienced such places. Domestic abusers love those kind of hangouts. They find the leaders willing allies and the pews a comfortable place to practice their hypocrisy. Just think of trying to get justice from poisonous snakes or greedy thieves. Not gonna happen. The church is a society of sinners. Three times he repeats this phrase in just a few paragraphs. The church is a society of sinners. Really? Where in all of Scripture do we ever read such a thing? Think on this very carefully. You are bombarded today with preachers and writers and all sorts of supposed “Bible scholars” telling you that we Christians are all “sinners.” But I dare anyone to pick up their Bible and show us where the Lord calls His flock, His children in Christ, a society of sinners. Do you see how easily we get swept up in false teaching? I mean, this idea sounds so…humble, so “godly,” so…whatever. But it is not. It is a lie. Absolutely false. And I want to show you how this teaching turns local churches into a gang of vipers. Think about who a Christian is. Someone who has been born again. Not of their own doing, but by faith alone in Christ alone. Nevertheless, they are now new creations, indwelt by the Spirit, led by the Spirit, having God’s law on their hearts, loving God and one another. If any of these things are NOT true of a professing Christian, then they are not a Christian. But Doriani and so many others are telling us that a Christian is a sinner. Note that word IS. It is a verbal equal sign. A Christian, he says, is a sinner. He does not mean that a Christian still commits sin sometimes. No. If that is what he meant, he should have said so. What he means is that a Christian continues to walk in sin. And in that sense is not really any different at all from the unbelieving worldling. The only difference, he would say, is that Christ “covers” the “Christian sinner’s” sin. That is a lie. Christ radically changes us! A Christian is a brand new person! Not fully sanctified. Not yet glorified. But a person whose mind (see Romans 8) is set upon the Spirit, not upon the flesh. Now, what does this teaching, “the church is a society of sinners,” do? What results does it produce. I can tell you. It excuses sin. It permits a counterfeit to mix it up with the genuine. It permits people who claim to be Christians but who walk habitually in sin just as they always have done, without repentance, to be pronounced members of the church. It turns the church into a den of vipers. I cannot tell you how many times I have pointed to this scripture and heard the response, “well, pastor, I just don’t agree with you.” Really? Are you saying that I wrote 1 Corinthians?? This is the Word of God! And you are refusing to obey it. Because they aren’t saints at all. They are counterfeit sheep. If churches would obey God’s Word, if they would put the wicked out from among them, if they would stop teaching that a Christian is a sinner and therefore God understands that we aren’t perfect and still live like we always have, guess what? The same thing that happened at our church over the years would happen there as well. There would be a lot more empty spaces in the pews. There would be accusations that such a church is “judgmental.” But something else would happen too. The snakes and thieves would be gone. Peace would reign. Jesus would be worshiped in Spirit and in truth. True Christians are not habitual, unrepentant sinners. Saying that we are is a slap in the face and minimizes Jesus’ sacrifice to nothing more than a free ticket to heaven, WHICH IT IS NOT. He paid the ultimate price for us and, as evidence of our genuine love and devotion to the Lord, we should exhibit our deep gratitude by living according to God’s Word, not using grace as an excuse to continue to practice or defend ongoing sin. 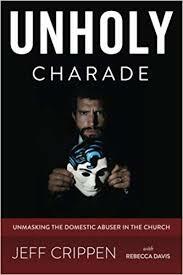 Abusers continue to practice evil and get away with it in the church due to a pervasive atmosphere of deception and sloppy grace. What do you think about when the pastor says in his sermon, that, “ He is the worst sinner in the sanctuary “. the church would not have the money coming in to fulfill the desire to have a big, fancy, “campus”. Holly- what do I think? I think that he is not qualified to be a pastor. What in the world does he mean by that? He is acting humble but that is not humility and he is enabling every wicked fraud in the pews to continue to do evil and oppress victims. You called it! That is exactly how that church operates. That is why I no longer attend. As redeemed Christ followers, our new identity is in Christ. I cringe when this is incorrectly perceived and incorrectly taught. But not only is it taught, it is believed and lived, and people in the pews feel defeated and live weakened spiritual lives. They’ve not realized the freedom and empowerment that comes with a correct understanding of their new life in Christ. Those who voice a contrary word to this teaching–when it is disbelieved–consequently are ignored and are seen as the ignorant one. They go on speaking as they doas if you have not said a thing. I believe there is another part to this and this is more than an identity issue/belief. There are reasons that may be more complex in nature. Some of the error originates with a groups’ theological base, their understanding of theology, and their interpretation thereof. That’s a brief snapshot of what I see playing out in protestant-evangelical circles. A pastor has a lot of influence on how his flock understands their Christianity. Birthright- Christian, Do You Know Who You Are by David Needham is a wonderful book on this subject. I had classes in graduate school that Needham taught. He caught a lot of heat from traditionalists when his book published. Thank you. I’ve hear of Needham but that’s all I recall. Not only is this post good, but those commenting had really good comments, too. I learn so much from this blog, and your other blog, too. I once watched these two crooks (but polished crooks who presented well), these televangelists on tv, talk about how they were a new creation in Christ and since then they had not sinned and were no longer sinners and it’s been any number of years upon years since they last sinned. Then, on the flip side, I’ve heard any number of times from all sorts of people, the standard line of “we’re all sinners” which usually goes hand in hand with “don’t judge” as well as ‘consider yourself to be the worst/biggest sinner’ (or something like that, which is what the pastor Holly spoke of perhaps was doing, in thinking it was humble, and showing a broken and contrite spirit, considering oneself not to be better than others). It’s so very confusing and there are dire consequences to getting it wrong. But your post seems to be the most accurate, and it squares with experience. God doesn’t want us to be self-hating, consider yourself to be the worst sinner, ‘humble’. But so many think this is true and I used to think it was good for me to consider myself to be the worst sinner, so I wasn’t puffed up. A new creation in Christ. And He loves us. What about the effects of trauma and abuse? It’s like a person becomes contaminated and tainted by the abuser, and it feels very worrisome, as though one no longer is of God, His chosen child, baptized, called, and made anew. Perhaps with time, it’ll get better. PTSD is real, though, and severe enough abuse/trauma deforms a person’s personality, identity, and so much more. It certainly does take time to get things sorted out when we have been lied to for years and taught false doctrine for years. Abusers most often, like their father the devil, go for our minds. This is why David Needham titled his book, “Christian, Do You Know Who You Are?” Because most Christians don’t know who they are. New creations. Saints. Heirs. Children of God. Beloved. Holy Ones. Washed. And on and on the list could go. What don’t you see in that list? “Sinner.” Nope. Not there. Spending years though targeted by an abuser does affect our minds and traumatizes us especially so if we are also being given false teaching in our churches! Theoretically the church is supposed to be the pillar and support of truth, as Paul told Timothy. But increasingly today local churches are anything but that. So you often can’t go to church and get deprogrammed from the abuser’s lies. You end up in fact being told he is right and that you are the real problem. This is the devil’s work. The remedy? Truth. And getting away from the daily car wreck that being with an abuser is. I have a personal rule I follow as much as I can. I will not permit an abuser of any kind to be around me. I will not have a relationship with a reviler, a deceiver, a sociopath. I don’t care if they are relatives or if they are church members or whoever they might be. I do not have to be subjected to them and I will not be. I realize that “just leaving” a domestic abuser is not that easy and initially may well be impossible. But as soon as you can, leave. “Come out from among them and be separate” and then you really begin to experience God as the Father He truly is. Anonymous, your comment above is heart wrenching for me, because I, too, have PTSD as a result of the abuse my ex inflicted on me for over 3 decades, especially the last few years that we were together. The abuse ended when he was arrested for strangling me in front of a law enforcement officer. It was devastatingly traumatic, but I am recovering one day at a time by the grace of God. The physical, emotional and spiritual effects of trauma and abuse ARE very real. Our brains are changed significantly by trauma, which causes physical and emotional PTSD symptoms. I have a lot of compassion for veterans who are suffering PTSD now that I have been a victim of it myself. In addition to taking several medications for the PTSD symptoms which include terrifying nightmares and panic attacks, prayer for inner emotional healing from the trauma has helped me tremendously. I am extremely blessed in that I had already been ministering that type of prayer to others. I put everything I had learned and was sharing with others into practice in my own life to receive inner healing from the trauma I experienced. It is an ongoing process and takes time, but with God all things are possible! Pastor Crippen said it very well. “I have a personal rule I follow as much as I can. I will not permit an abuser of any kind to be around me. I will not have a relationship with a reviler, a deceiver, a sociopath. I don’t care if they are relatives or if they are church members or whoever they might be. I do not have to be subjected to them and I will not be. I realize that “just leaving” a domestic abuser is not that easy and initially may well be impossible. But as soon as you can, leave. “Come out from among them and be separate” and then you really begin to experience God as the Father He truly is.” That is one of the most important steps in the healing process. My ex has continued to try and have contact with me, but I am not allowing it for my protection and healing. You have to take care of YOU, anonymous! Do what helps you heal. Find a doctor who can help with the PTSD symptoms and connect with other true Christians who can provide support, encouragement and prayer. You are NOT what happened to you. You are a survivor and more than a conqueror!! You are a child of the Most High God and He sees you as precious in His sight! Thanks for your comment, Praying Lady, I didn’t see it until now. Sorry for the delay. I know about the terrifying nightmares and the panic attacks. It’s bad. It’s really bad. I never imagined being so overwhelmed with trauma that life is no longer possible, but that’s what happens. Women can be broken beyond any possible repair from abuse, violence, violation, that it’s really something. But God loves disabled people, too. I’m glad this blog exists as so much truth and sense is taught. God’s Word is faithfully referenced. And Pastor Crippen’s advice is good. A standing ‘no contact’ rule. If a pastor has a rule like that, then surely we too are acceptable in having such a rule as well. This whole ‘be nice’ thing that is drilled into girls and women’s heads is too much. It makes for much false guilt, poor boundaries, and all sorts of danger. So good —-all of you. I’ve grown so much from this blog. As I process the evil wickedness of the abuser and his allies, (all were/are lay leaders in the church) I reread the blog entries and it helps provide clarity on how evil manifests itself. Angel of light, smiling faces, innocent demeanors. The abusers main flying monkey ( my former bible study leader) physically resembled a dark haired Mrs. Clause, Santa’s wife. Who could dislike Mrs. Clause? The physical demeanor contrasts highly with the evil in their heart. That’s how they hide in churches —wicked vipers—chameleons every last one. A Mrs. Claus looking abuser? That’s so hard. Sorry about that, Stormy. Thanks for sharing such as there have been many instances where wicked vipers most assuredly didn’t present as such. Most abusers are like that. Lure them in, deceive them, and attack, but then have impeccable impression management skills to back them up, or otherwise cultivate an innocent look, like Mrs. Claus. That’s really difficult.